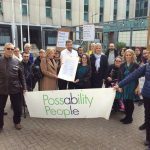 Last week local charity, Possability People, was forced to close the city’s only disability advice service after the local health body, Brighton and Hove Clinical Commissioning Group (CCG), announced a sudden cut in funding. The shock decision was communicated to Possability People in a letter signed by both Brighton and Hove City Council and the CCG. The letter gave just three weeks’ notice that funding was coming to an abrupt end and concluded that the council “understands” the position of the CCG. This decision could not be more short-sighted. Ten years of the Conservative government’s failed austerity experiment has left people with disabilities desperately needing extra support while draconian welfare policies like universal credit have pushed up to half a million more into poverty. Just last year the United Nations concluded that cuts have created a “human catastrophe” for disabled people. In this context, Possability People has dealt with 4,500 inquiries in the last year. While the CCG says services are provided elsewhere, other advice centres in the city are at capacity. It’s unclear where people with disabilities will go for specialist advice. Labour councillors have attempted to distance themselves from this decision but the council can’t claim it’s not involved – it co-signed the letter that went to Possability People decimating their funding. Sadly, Labour councillors remained silent until a public protest at last week’s council meeting prompted them to hastily draw up a letter of support. 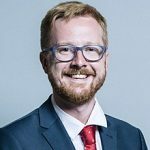 This is not the first time we’ve seen vital local charities left in the lurch under Labour – contracts were pulled from Brighton and Hove Food Partnership and artists’ studios sold from under the feet of Same Sky. On this record, why should Labour be trusted on their election pledge to achieve higher levels of social value? Transparency about this decision is key to the future delivery of essential disability services. Greens want to see every possible step taken to support this vital service. We are calling on party leaders to sit down with the CCG and Possability People to plan a way forward. To fail to do otherwise will leave people with disabilities with nowhere to turn. 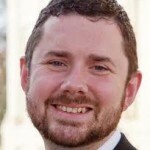 Councillor Phélim Mac Cafferty is the convenor of the Greens on Brighton and Hove City Council.